Product #6175 | SKU GPP-273 | 0.0 (no ratings yet) Thanks for your rating! Hosa GPP273 1/4'' Adapter. This Adapter for connecting a stereo phone plug with a phone socket at a 90-degree angle. 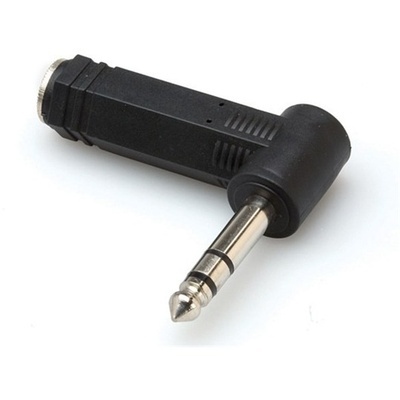 The adaptor is designed to change the orientation of a balanced phone plug. It is right-angled for easy access to jacks with minimal clearance.